SOLDIER FIELD LAKEFRONT REDEVELOPMENT PROJECT – Target Group, Inc. 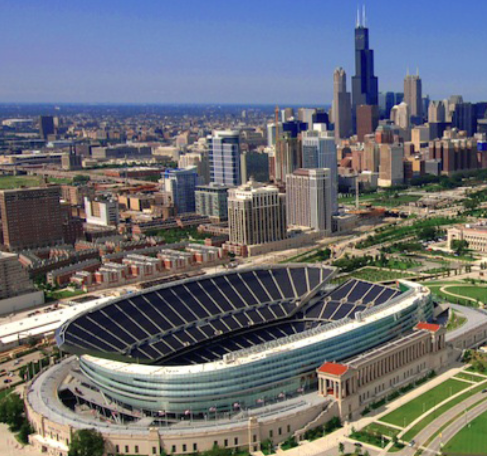 In 2000, the Chicago Bears announced that Soldier Field would be completely renovated and expanded as part of Chicago’s Lakefront Improvement Plan. As part of a $365 million reconstruction project the majority of Soldier Field was demolished with the exception of the exterior. The new arena has around 66,000 seats, overall improved seating, an enlarged concourse, two video-boards, 8,000 club seats and 133 luxury suites. To preserve Soldier Field, the classic colonnades were saved intact as a lasting monument to its glorious past and a 250-foot granite-wall sculpture serves as a memorial to the men and women who served in the armed forces. – A total of $27,238,410.57 were committed to WBE contractors (6.96% of the total) – Over 70% of all dollars awarded ($390 million) went to over 285 Illinois firms.